The Xiaomi Mi Mix 3 and Huawei's latest Honor Magic 2 smart phones are both new phones launched in the same month last year (2018), and they both have quite a lot of things in common, because why not, they both make use of the latest sliding mechanism in other to eliminate the needs of any bezels and notch at the front, while trying to get that perfect all screen design that everyone (every other smart phone manufacturers) has been trying so hard to get. So like i said up there, these two phones have almost everything in common with just a little bit of compromises here and there, such as the presence of In-display fingerprint reader on the Honor Magic 2, but absent on the Mi Mix 3, while the Mi Mix 3 utilises its ceramic body as a tool for wireless charging, the Magic 2 doesn't use its own glass body for anything other than just design. So after all , everything will still boil down to personal preferences, going for either the Magic 2 or the Mi Mix 3 depends on what features matters to you most. But before we go any further, let's do a head to head spec comparison between these both phones in question. Qualcomm Snapdragon 845 (10nm) Chip 2018/2019's best. Qualcomm's Quick Charge 4.0+ Yes. Wireless Charging Support?. Yes. No. Under Display Fingerprint Reader No. Yes. Super Slow Motion Video Recording Yes. Although the concept of these two phones are exactly the same, but at the same time, they make use of different materials for their designs and build. While the Mi Mix 3 makes use of a ceramic body which has proven to be durable than glass and very resistant to scratches, the Huawei Honor Magic 2 follows closely behind with a glass body. In terms of durability, i will say the Mi Mix 3 takes the crown on this one, but in the case of looks, though the Mi Mix 3 still manages to look stunning to quite of lot of people out there, but i still prefer the Honor Magic 2 because of its gradient color options. So in conclusion, i will say its draw, because what you couldn't get on this one, you can get it on this. They had each others back.. LOL. Was i even suppose to be comparing these two in terms of display at the first place? Hell no, because they both ship with an exact same display. Same panel (AMOLED), same resolution (1080 × 2340 Full HD+), same screen size (6.39 Inches), so what more can you ask for? Well, what's more and as you already know is that while the Magic 2 uses its own display as a fingerprint reader, the Mix 3 own is just there. So in conclusion, i will say the crown goes to the Honor this time just because of its under display fingerprint reader, but take that away, and both phones are just the same thing in different worlds. Well to start with, one thing you have to know about smart phones cameras nowadays is that, more is always better. And the Huawei's got that more we're talking about here. 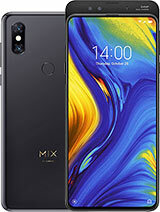 So while the Magic 2 comes straight out of the box with three cameras at the back, and another three at the front, making it six cameras in total, the Mi Mix 3 strolls closely behind with two at the back, and two at the front making it four cameras in total. But we will have to test both phones side by side in real life to know which one takes better photos, because you know sometimes, or even most of the times, more cameras do not always translate to better pictures, the Google Pixel phones have helped so much to prove that point with just a single camera lens outdoing every other smart phones out there, and taking the crown for the best camera phone each year. Well in terms of hardware such as processors, RAM and storage, i will say, you're getting the best the two phones have to offer from their different manufacturers. 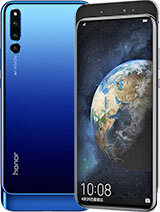 The Huawei Honor Magic 2 ships with the still best and latest Kirin 980 chipset from Huawei, while the Xiaomi Mi Mix 3 ships with Qualcomm's best Snapdragon 845 chipset until phones with the latest Snapdragon 855 starts sprouting out. Forget about what's written on paper on the many comparisons between the Huawei Kirin 980 chipset vs the Qualcomm's Snapdragon 845 chip. I tell you that in real life, you can't tell the speed difference between these two devices. And nowadays people are not even much concerned about what processors are faster, all they want is just a smart phone that responds to their command with just a twinkling of an eye, and the Huawei's Honor Magic 2 and the Xiaomi Mi Mix 3 are just those phones. They are fast and quick to responses, coupled with their identical RAMS and internal storages too, in which you have the options of either a 6GB or 8GB or RAM on both, and a 128GB or 256GB of Internal storage options, now tell me, what more could you ask for? Though there's rumor that's there's a 10GB version of the Mi Mix 3 still in the works, but until then, see ya. Well in terms of software, once again we've got something similar and in common on both, but with a little bit of twist, and what is it? Well, you've got the latest Android 9.0 Pie version on both, but each ships with their own customized UI. While Huawei ships with its latest EMUI 9 out of the box, the Xiaomi follows beside with its own latest MIUI 10 too out of the box. So in this case, i will say it all boils down to personal preferences. So nobody is taking the crown on this one. Well in terms of all those side features, it all depends on what matters most to you. The Honor Magic 2 has Face Unlocking mechanism, and its fingerprint reader under its display, while the Mi Mix 3, though it has face unlocking too, but doesn't have an under display fingerprint reader. But what it couldn't make up for with an in-display fingerprint reader, it made up for it with Qi Wireless Charging, and the Magic 2 has it not. Both phones are not water resistant in any way, so be careful when going to the pool. But one more thing which i think shouldn't really be considered a problem because it is something that could be easily fix with a software update, is for the fact that you can use the Xiaomi's Mi Mix 3 sliding mechanism to do many other things other than just using it to launch the camera app. For example, it can be used to receive and end calls, it can be used to launch an app, or you can just set it to do nothing. While the one on the Huawei's only used to either launch the camera app, or launch Huawei's own new AI voice assistant, but once again, i feel sooner or later, it will have all those features that the Xiaomi has. So for now, i will say the crown goes to nobody. its a draw and boils down to what you prefer most. Well for batteries, i will say, none of these phones are really that impressing. But what's more depressing is for the fact that the Xiaomi Mi Mix 3 ships with a 3200mAh power battery, making it 300mAh less powerful than the 3500mAh found on the Magic 2. They both have support for fast charging speeds out of the box, Huawei's uses its own proprietary 40W charger to achieve this, while Xiaomi utilises Qualcomm's Quick Charge 4.0+, and it as well supports Fast Wireless Charging as well. And the last but not the least, pricing. Well since we've seen that they both ship with identical concepts, with identical specs and features, don't you think it'd be nice if they as well ship with a somewhat identical price? Yes sure they do. The Huawei Honor Magic 2 costs for something around 550 EUR (that's about $625), while the Mi Mix 3 comes with an about 560 EUR (about $636). So you see, no much differences after all. Alright guys, so at this juncture, i guess that will be it for today.. But in the meantime, let us know what you think about both phones in the comments section below, and i will see you all on the next one.